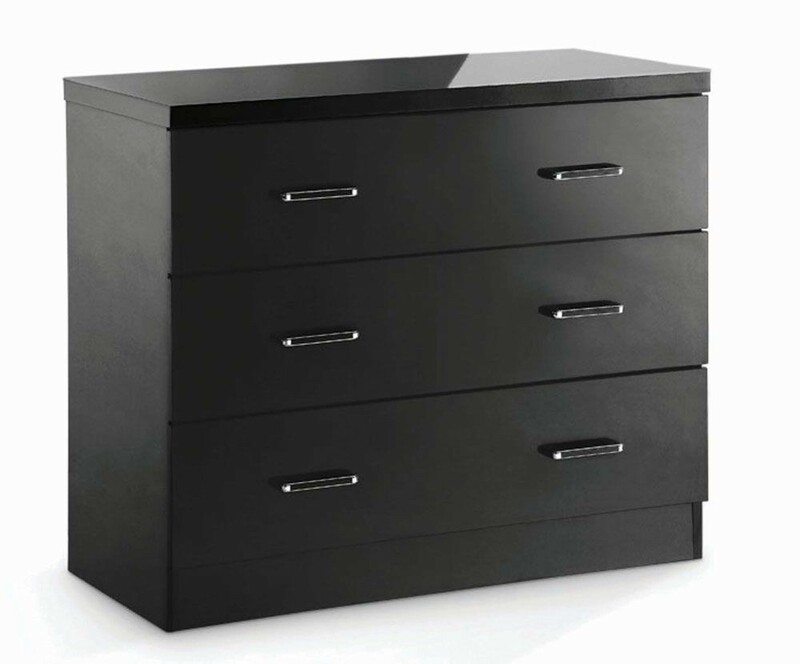 Ever popular black high gloss 3 drawer chest in this stylish bedroom furniture range.FREE Express Delivery. 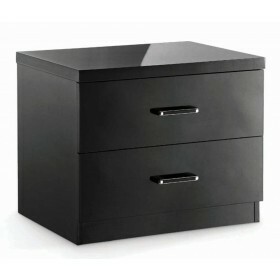 Fantastic value bedroom furniture with the very latest high gloss finish. Matching bed frame and furniture range available.